The potential of the North's burgeoning tech sector will only be realised if the availability of capital becomes more visible, an investment summit has heard. A study by international investment bank, GP Bullhound, last year identified a number of Northern businesses which it considered to be strong contenders to hit $1billion in value within the next few years, including Daisy, The Hut Group, Missguided and RealityMine. But at the UK Business Angels Association’s (UKBAA) Northern Investment Summit this week at The Bridgewater Hall in Manchester - attended by over 250 leading players in the early-stage investment community including angel investors, venture capital firms and high-growth entrepreneurs - it was heard that more needed to be done to fully capitalise on the opportunities within the region. 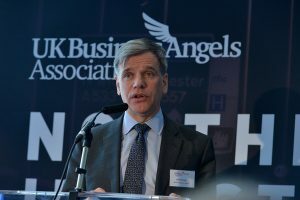 The Northern Powerhouse funds were identified by keynote speakers including Keith Morgan, CEO of the British Business Bank, and Simon Calver, chair of UKBAA and partner at BGF Ventures, as a significant opportunity to bring more capital to the regions’ entrepreneurs. But alongside this public funding, it was agreed that there needs to be a long-term supply of private sector investment. Hugh Campbell, managing partner of GP Bullhound, underlined the importance of building more communities of local investors – particularly people who have been successful entrepreneurs and would like to use their money and experience to back the new generation of growth businesses.